Dragon Boat Festival or Duan Wu Jie (端午节) is just around the corner on 9 June 2016. It is celebrated in Singapore in events like dragon boat race as well as eating rice dumplings. Dragon Boat Festival origins from the sacrifice of Qu Yuan, a legendary Chinese poet. He drowned himself to protest against the rulers for corruption. Dragon boat races are organised symbolizing searching for Qu Yuan's body along the river. It is said that dumplings were thrown into the river to stop fish from feeding on the poet's body as well as making noise to scare the fish away. Hence the originating of rice dumpling but now it is served on the table as delicacy instead. 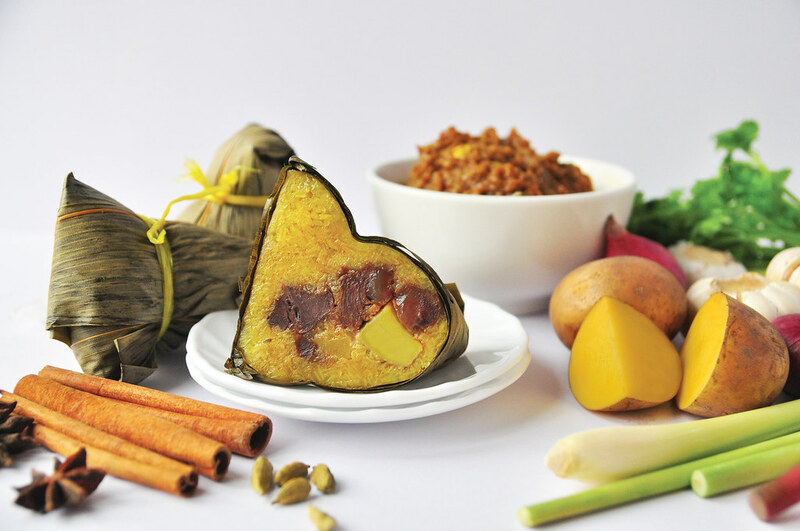 Every year in celebration of the festival, many restaurants and hotels will be offering the traditional rice dumpling as well as new creations to entice guests who are either buying them for self consumption or gift. 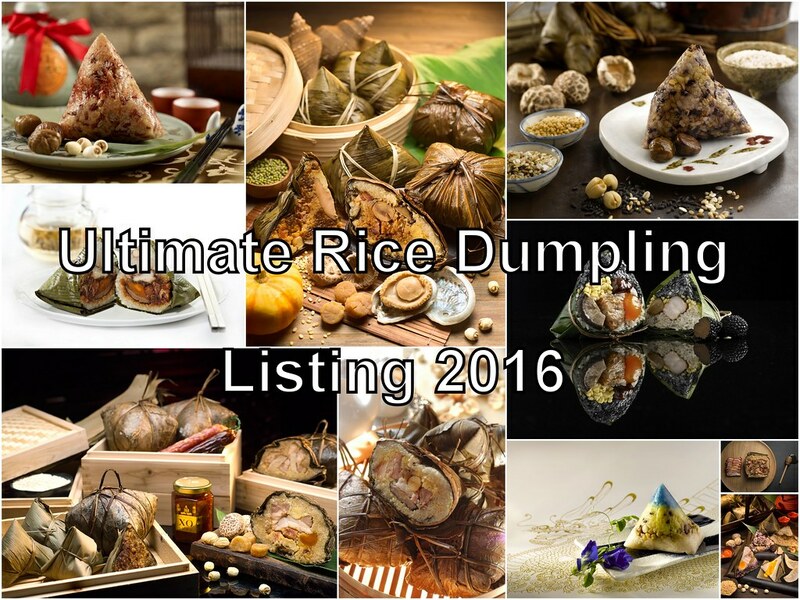 If you are planning to get some rice dumplings this year, here is the ultimate listing of the various offering from restaurants and hotels. New addition to the collection is the Beef Rendang Rice Dumpling ($10.80/pc) and Honey-Glazed Char Siew Rice Dumpling ($9.80/pc). Making a comeback as one of last year's top favourites is the Braised Pork Belly Dumpling with Man Fu Yuan's Signature Black Bean Sauce ($10.80/pc). Other signature offering includes XO Sauce Nyonya Dumpling ($10,80/pc), Man Fu Yuan Jumbo Dumpling ($18.50/pc), Cantonese Style Five Spice Dumpling ($9.80/pc) and Red Bean Lyc Dumpling ($6/pc). 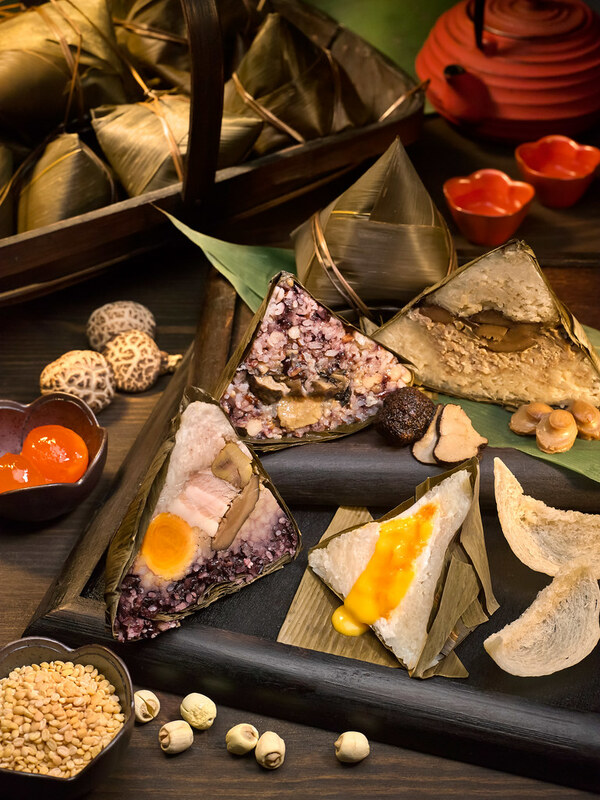 The Fullerton Hotel Singapore’s Chinese restaurant, Jade marks the time-honoured Dragon Boat Festival with a selection of new rice dumplings and classic favourites unveiled by Chef Leong Chee Yeng. Savour new creations featuring the Traditional Salted Pork Glutinous Rice Dumpling ($9.90/pc), Vegetarian Five-Grain and Cordycep Fungus Glutinous Rice Dumpling ($8.90/pc), Black Pepper Chicken Yellow Millet Rice Dumpling ($9.90) and The Fullerton Glutinous Rice Dumpling ($9.90), which is inspired by the popular Nonya Keuh, ‘Pulut Inti’. 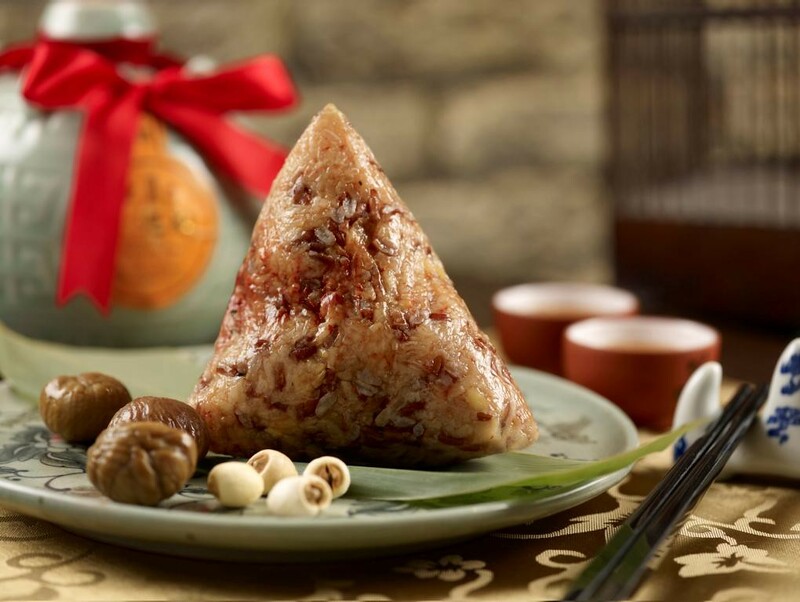 Their Golden Treasures (S$88 nett, 8 pieces) and the Auspicious Celebration (S$168 nett,10 pieces) offer a hearty selection of rice dumplings perfect for gifting. In commemoration of the Dragon Boat Festival, Li Bai will be presenting a delectable selection of three homemade rice dumplings. Executive Chef Chung Yiu Ming presents a new creation this year - Steamed Rice Dumpling with Sea Whelk and Dried Seafood ($45/pc). 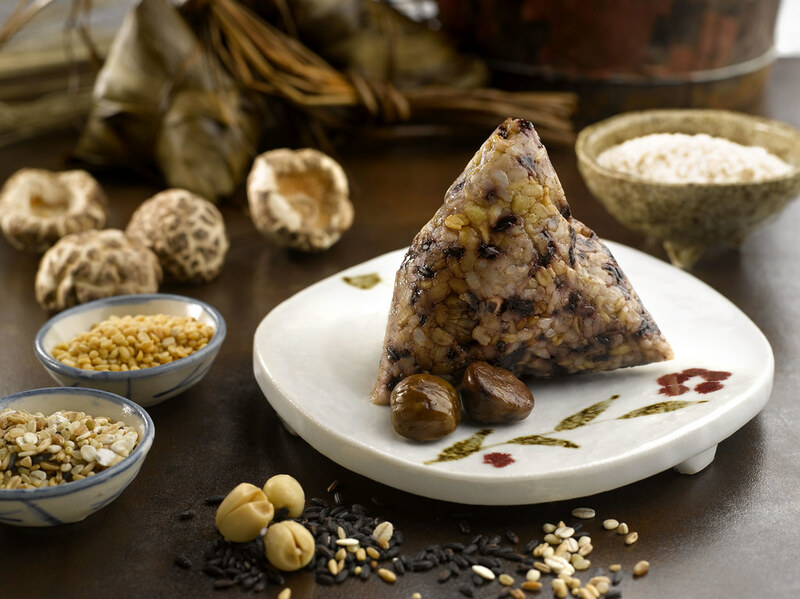 For those with a traditional palate, Li Bai offers the perennial favourite, Steamed Traditional Rice Dumpling ($40). 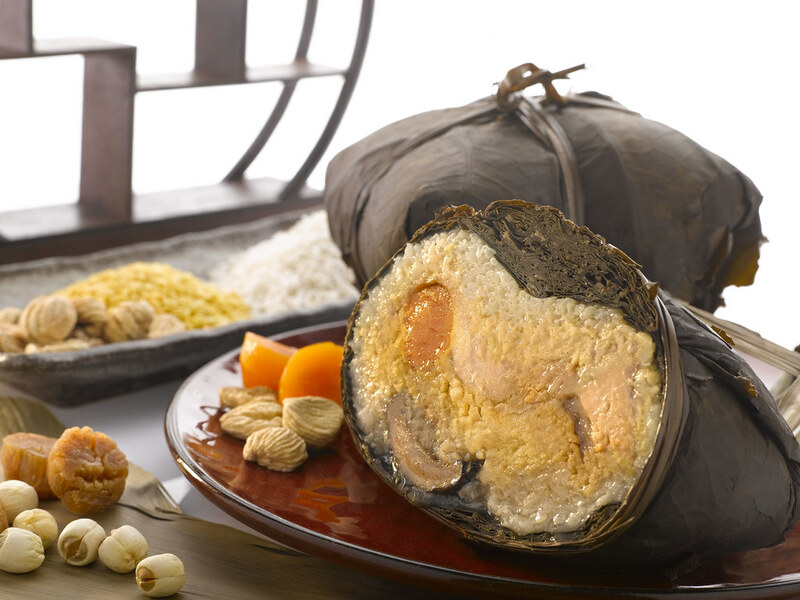 Back by popular demand, the well-loved Steamed Abalone and Pumpkin Rice Dumpling is a premium bundle of goodness ($45). 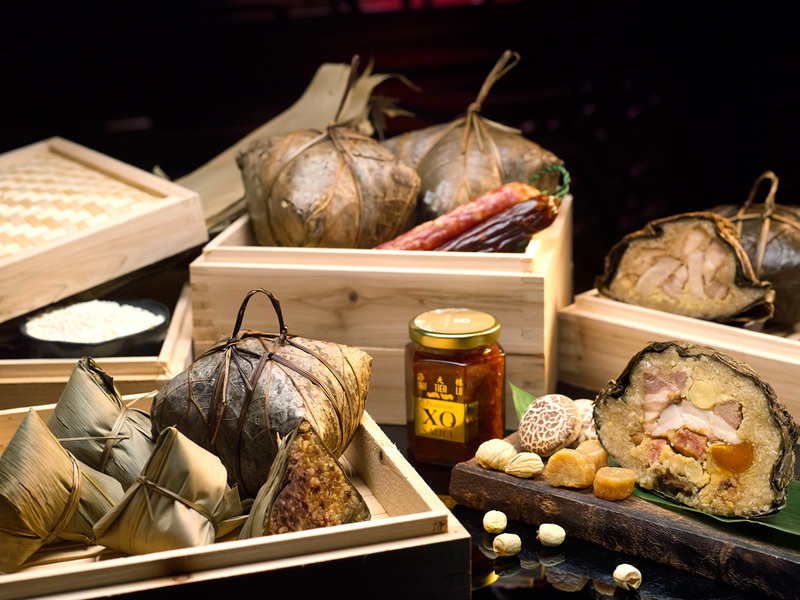 Mandarin Oriental, Singapore presents a selection of gourmet dumplings to mark a fantastic Dragon Boat Festival celebration at Cherry Garden this year. Indulge in the black garlic glutinous rice dumpling ($18/pc), consisting glutinous rice, fragrant black garlic, sea whelk, preserved vegetables, succulent kurobuta pork belly and bamboo charcoal powder. The red yeast glutinous rice dumpling ($16/pc), an appealing combination of glutinous rice, conpoy, and red yeast minced chicken. The signature classic golden pearl dumpling ($34/pc) remains a top pick, as it is packed with an extravagant filling of premium ingredients. In remembrance of the great Chinese poet Qu Yuan, Summer Palace celebrates Dragon Boat Festival (端午节) with two seasonal dumplings: an unusual but exquisite Crocodile Meat and X.O. Sauce Rice Dumpling ($22/pc) and a nostalgic treat of Black Sesame Rice Dumpling ($13/pc). Traditional offering include classic Abalone Rice Dumpling ($38/pc) and Eight Treasures Vegetarian Rice Dumpling ($22/pc). Two new flavours – Wagyu Beef Cheek Rendang Dumpling ($12.65/pc) and Chicken with Salted Egg Yolk and Chestnut Dumpling ($12.65/pc) – along with two popular favourites – ‘Hae Bee Hiam’ Dumpling ($7.70/pc) and Braised Pork Belly with Black Garlic Dumpling ($14.75/pc) – make up this year’s collection, available at Min Jiang岷江川菜馆 (Goodwood Park Hotel) and Min Jiang at One-North岷江在纬壹 (No. 5 Rochester Park). 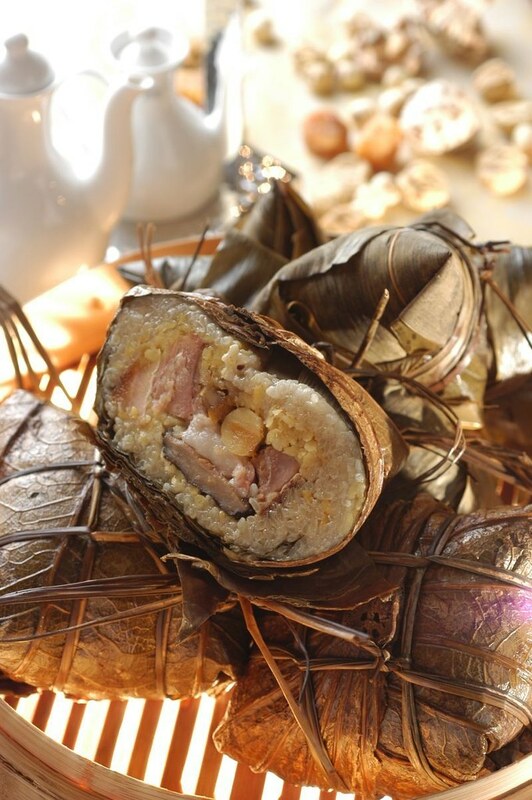 This Dragon Boat Festival, Golden Peony introduces two new creations of Rice Dumpling. 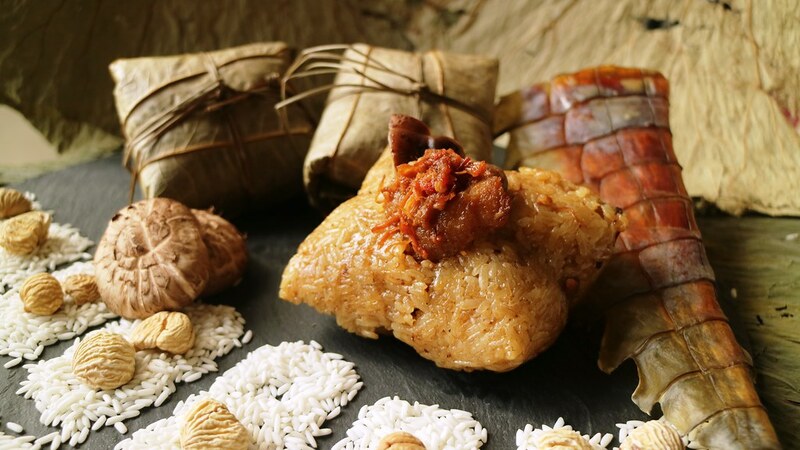 Tuck into the local favourite inspired Singapore Chilli Crab Rice Dumpling ($28/pc) filled with chilli crab claw meat, accompanied by homemade chilli crab sauce. 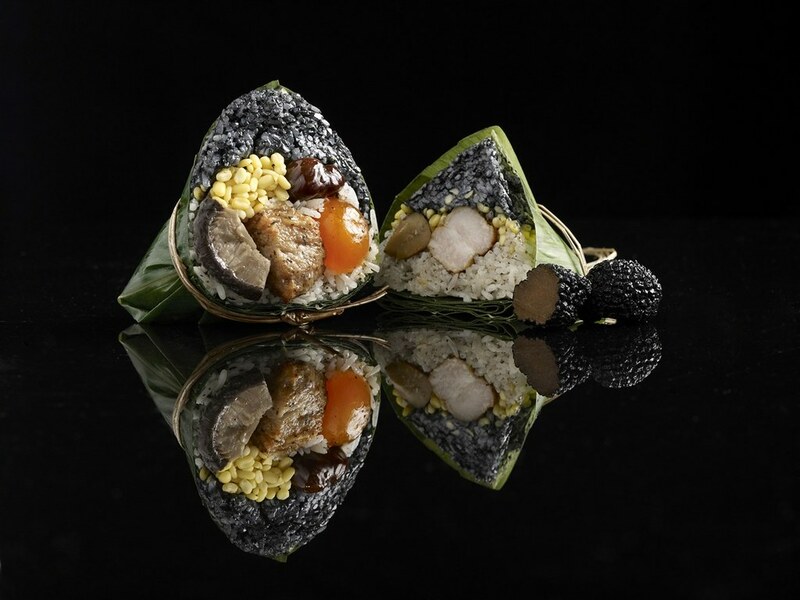 Also making its debut this year is a fusion of Black Truffle, Morel Mushroom and Chicken Meat Rice Dumpling ($12) filled with generous slices of black truffle and morel mushrooms with succulent chicken drumstick meat, accompanied by homemade morel mushroom sauce infused with thyme. Other perennial favourites include the Traditional 'Hong Kong Style' Rice Dumpling ($28/pc), healthy Vegetarian Wholesome Multigrain Rice Dumpling ($8), and sweet Red Bean Paste Rice Dumpling ($8). Hua Ting Restaurant will mark the traditional Dragon Boat Festival with new dumpling creation by award-winning Masterchef Lap Fai. 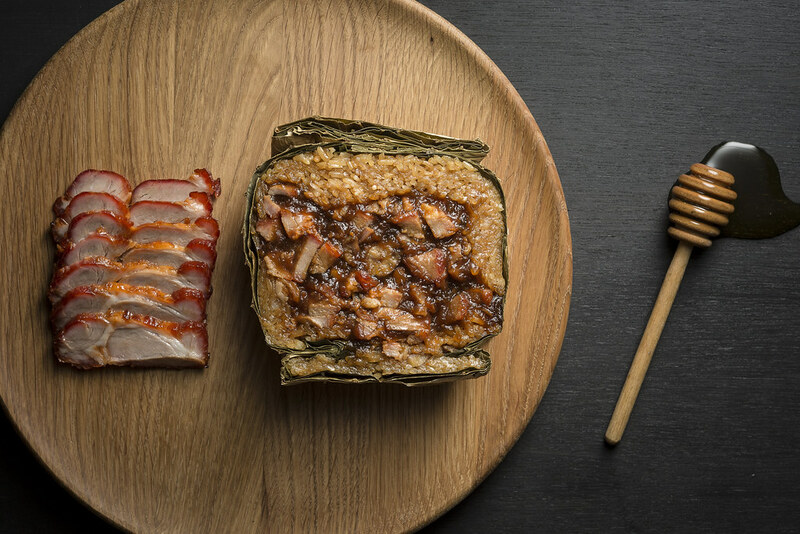 This year’s new creation of Rice Dumpling with Braised Pork Trotters, Dried Japanese Bonito and Peanuts ($14.80) is a heavenly combination of fork-tender pork trotters and savoury peanuts, complemented with dried Japanese Bonito. 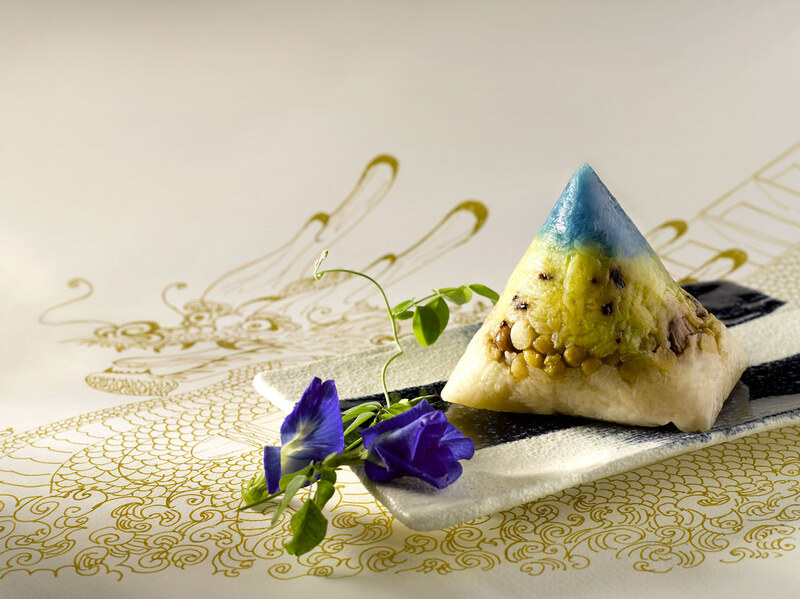 A handcrafted vegetarian highlight, the Brown Rice Dumpling with Trio of Mushrooms and Black Summer Truffle Paste ($13.80) packed with wholesome ingredients is the perfect festive indulgence for the health conscious. The signature Hong Kong Style Rice Dumpling with Roasted Meat, Dried Scallops and Beans ($23.80) is shaped like a rectangular pillow and tops the choice of our regulars every year! Introducing six new rice dumplings flavours such as the Bird’s Nest Rice Dumpling with Salted Egg Yolk and Custard ($42.80/pc) alongside traditional favourites like all-time bestseller, Shang Palace Signature Rice Dumpling ($23.55/pc), guests will be spoilt for choice. To complement the festivities, Master Chef Steven Ng has crafted a seven-course Dragon Boat festive set menu available for lunch and dinner. 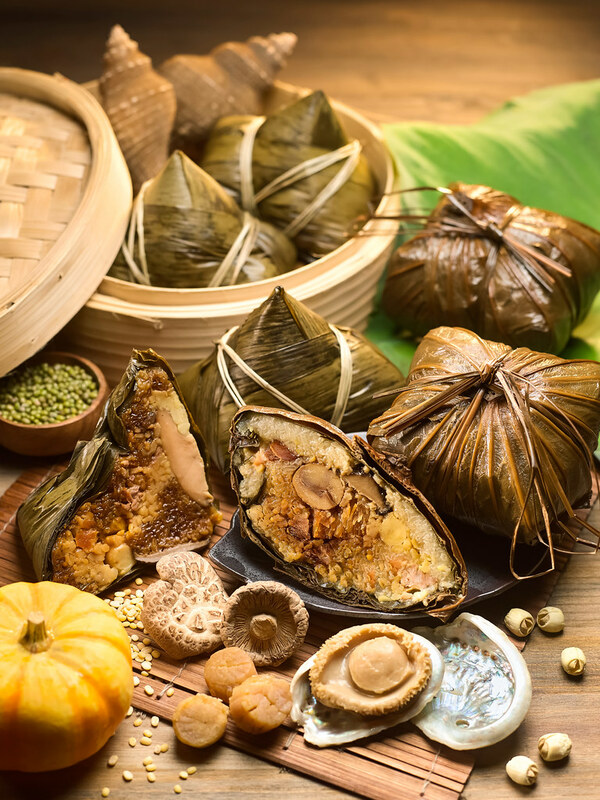 Welcome the Dragon Boat Festival with scrumptious and healthy glutinous rice dumplings handcrafted by the master chefs of Yan Ting. Bringing back popular favourites like the Glutinous Rice Dumpling with Abalone and Golden Dried Scallops ($33/pc) and introducing the Vegetarian Black Glutinous Rice Dumpling with Mixed Grains ($13/pc), Yan Ting is also presenting the Glutinous Rice Dumpling Gift Set ($49) for gifting to family and friends to commemorate the traditional festival. Celebrate this Dumpling Festival with authentic recipes from Xin Cuisine Chinese Restaurant. The new Tea Leaves Duck, Fish Maw, and Abalone Dumpling ($38/pc) brings you sumptuousness and indulgence with every bite. The lavish Truffle and Foie Gras Dumpling ($28.80/pc) is made with a modern twist. 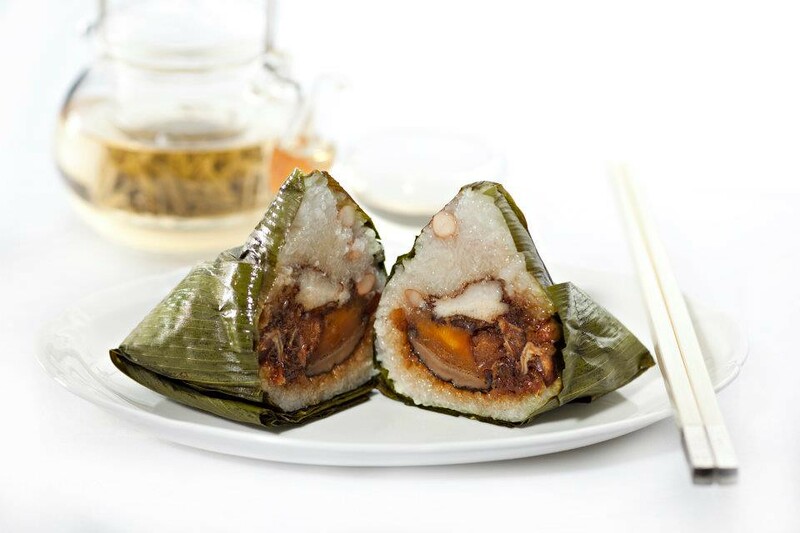 Another new creation on the must-try list is the Cordyceps and Pork Belly Dumpling ($18.80/pc).